For 27 years, Atlantic Spas and Billiards has been your resource for family fun and relaxation! 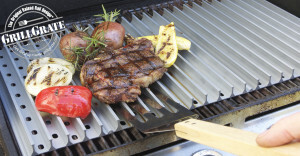 And, now we are pleased to offer you a variety of top-notch specialty grills! More than ever people are staying home to cook a healthy dinner instead of going out to eat. Families are expanding their indoor living rooms and kitchens into the outdoors to make use of our fantastic climate. We’re committed to bringing you unique, high quality specialty grills that are unique, will be easy to maintain and make you the envy of all your neighbors! Visit our Kamado Joe grills section and learn more about the joys of cooking on a ceramic grill! Join the club and become a Big Green Egg owner. We have a variety of sizes in stock, ready for pick up. Simplify the art of grilling with a GrillGrate! Available in over 20 different sizes and styles. Take pellet grilling to the next level and look like a pro with Memphis Wood Fire Grills. Or, try a pellet grill from Green Mountain Grills for the ultimate in remote control cooking…not to mention the cleanest, best smelling flavor infused pellets in the business! We stock pellets in the Green Mountain Gold Blend, Texas BBQ Blend, Applewood Blend and Fruitwood Blend flavors. And we have a large variety of the Memphis Grill pellets as well. Call for an up to date inventory of what we have in stock! Check out our great selection of rubs, sauces and flavored wood chips, in stock year ’round! We also carry natural charcoal in a variety of sizes, and grilling accessories like rib racks, chicken stands and pizza stones!